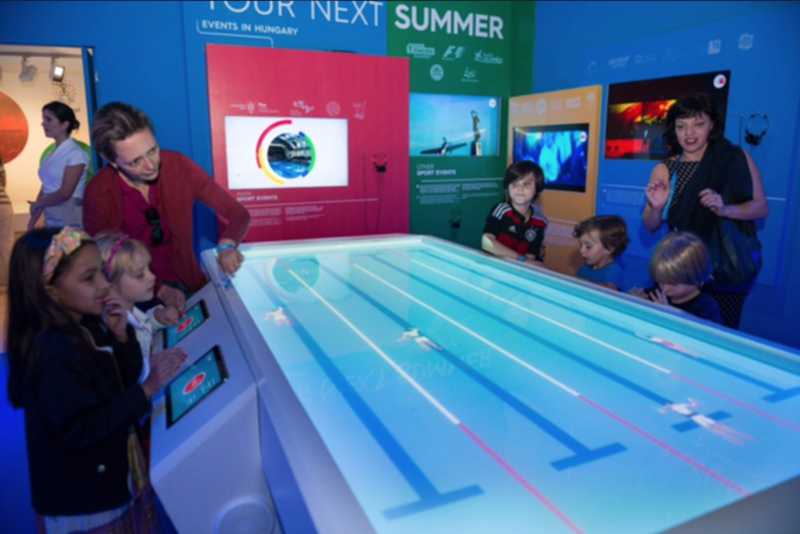 The application is installed on 4 tablets, and a small 2 m x 1 m water pool is projected with a projector to resemble to a real swimming pool. Players can choose their own avatar from 14 iconic Hungarian swimmers then a countdown starts. 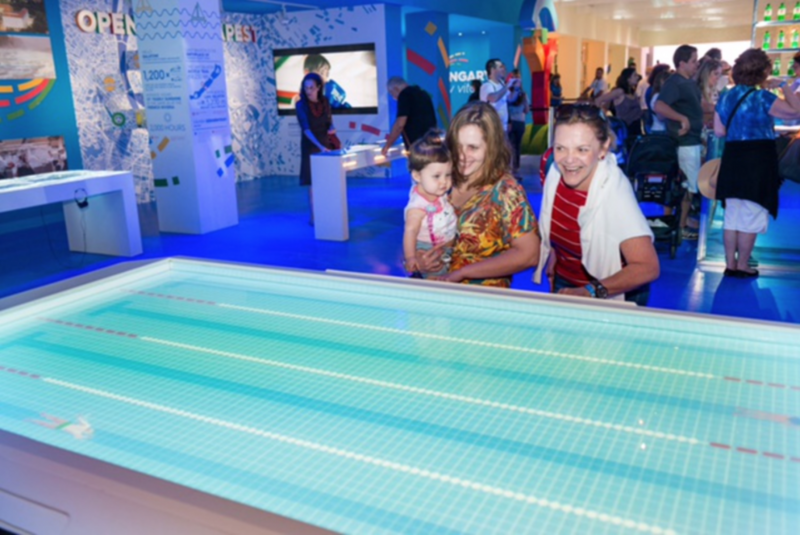 When all the 4 players have chosen their avatars, the players hear a whistle sound and a big red button appears on their tablet and the virtual swimming stars. 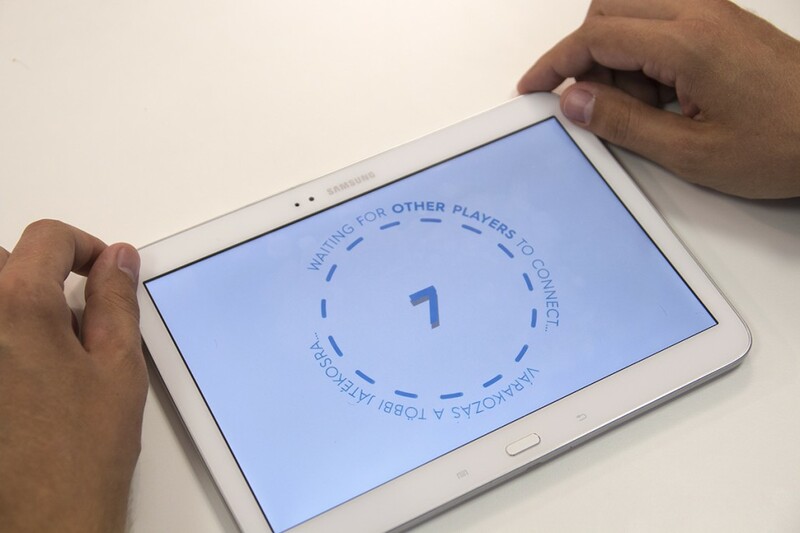 Players now have to push their button as fast as they can using more fingers at the same time. 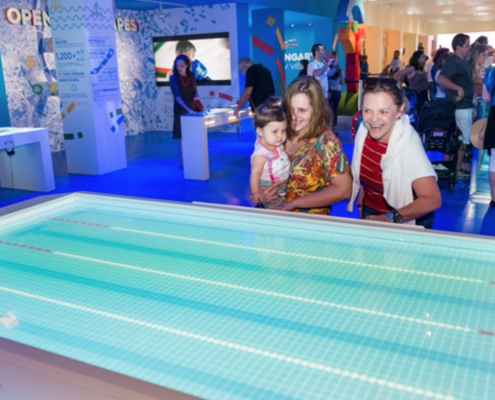 The tablet forwards the input to the pool so each avatar swims as fast as the player pushes the red button. There are 2 laps in the race that can be done between 15 and 20 seconds if the players are fast enough. 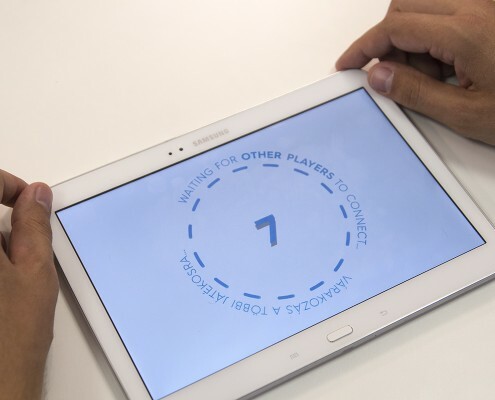 Competition results are shown at the end when all the players are finished then they can start a new round as well. 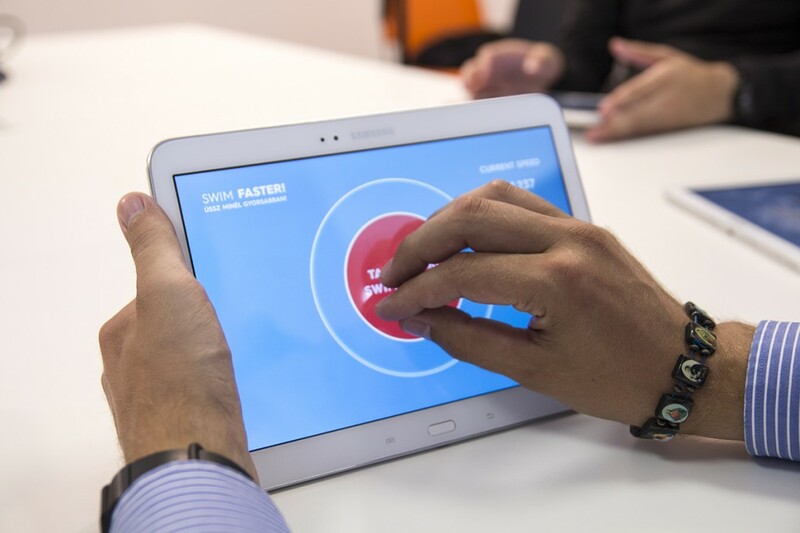 The tablet application switches to screensaver mode when not used and shows the animated logo – meanwhile a small video is projected on the table’s surface. 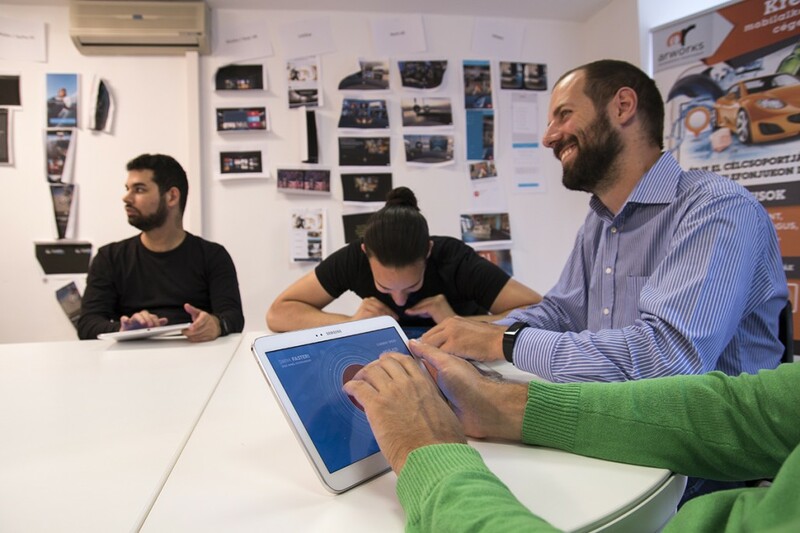 The challenge for ARworks in this project was to find a solution for 4 tablets communicating in real time with the Server PC.